You are buying the First Quality Prevail Male Guard White 13" PV-812/1 52/bag - Model #PV-812/1 from First Quality. First Quality is a leading manufacturer of incontinence products including briefs, liners, underwear, diapers, and underpads. At ADW Diabetes, we do our best to offer the complete product line by First Quatliy with superior service and fast shipping. First Quality Prevail Male Guard White 13" PV-812/1 52/bag - offer the right level of protection for women with light bladder leakage. Lighter protection is ideal for people with Stress Incontinence and who continue to enjoy an active lifestyle. With unpredictable leaks associated with Stress Incontinence, you can always count on Prevail to provide the right protection when you need it. These pads are Individually wrapped and available in a variety of sizes and absorbencies. 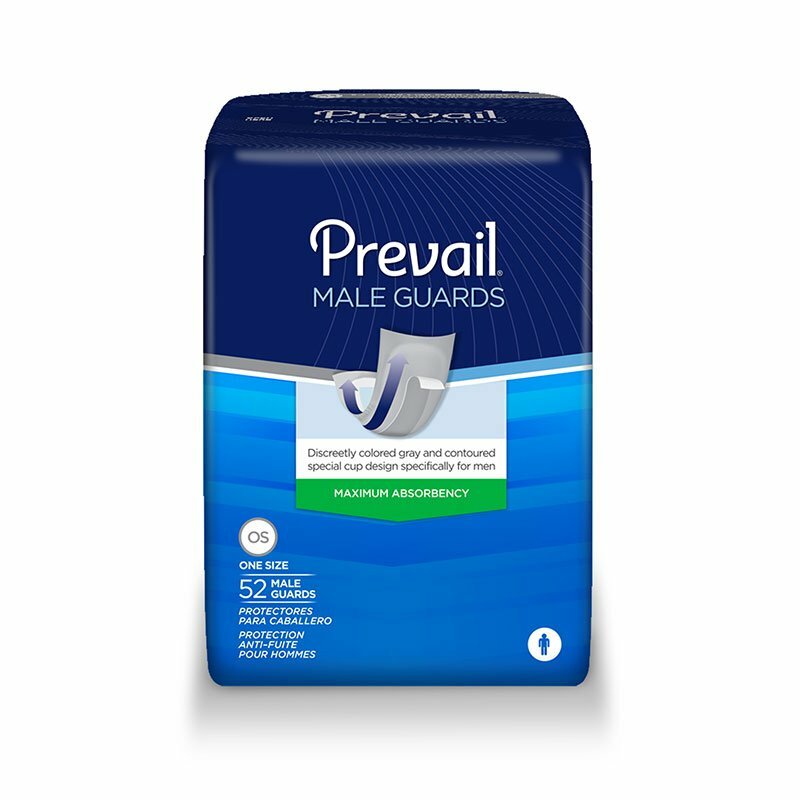 Prevail Male Guards are designed specifically for men to wear in their own underwear and are securely held in place with an adhesive strip.